Migration is the major issue in the Uttarakhand Himalaya. About 18% rural population has migrated to the urban centres during the last decades. The mountainous districts are worst affected. Migration has severe implications in the forms of land abandoned and ruined rural settlements. On the other hand, the urban areas are being over crowded. Change in land use and cropping pattern is the recent trend. It has been observed that due to high variability and change in climate, crops production and yield has decreased. In several areas, a number of cultivars are disappeared mainly fruits. Production of traditional cereals has decreased while, wheat and paddy is largely growing in the river valleys and the mid-altitudes. 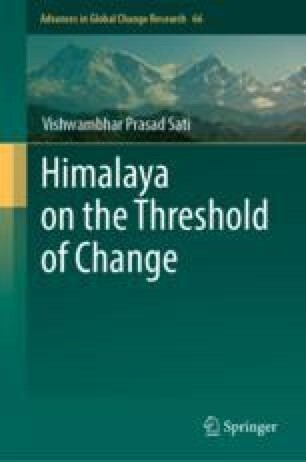 This chapter describes about migration and agrarian changes in the Uttarakhand Himalaya.